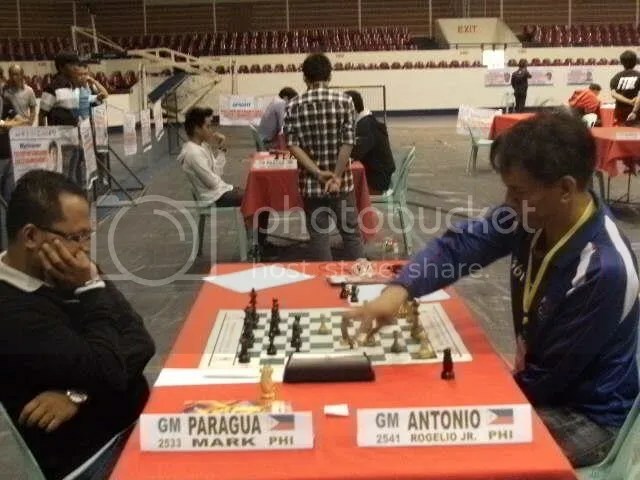 GM Paragua, seeded 6th in this tournament, in route to his indisputable win, scored 7.5/9 from his 7Wins-1Draw-1Loss record with a Rating Performance (Rp) of 2677 and a +17.2 FIDE rating points gain. 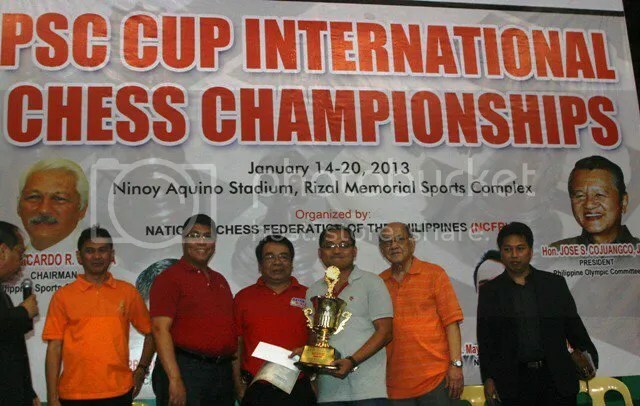 His final round (R9) draw against the 3rd seed GM Rogelio ‘Joey’ Antonio Jr. nailed the championship Cup. 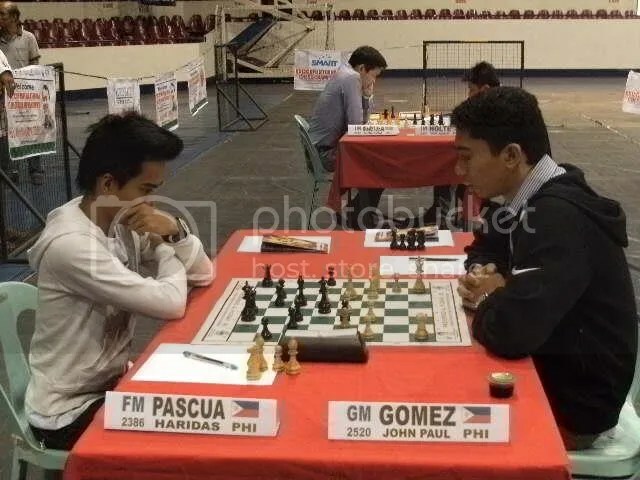 The Philippines promising 19-year-old FM Haridas Pascua who had an incredible run in this tournament tying GM Paragua after round-8 and had a rare chance for the title succumbed to GM John Paul Gomez in round-9 and settled on the shared second place finish with his lone conqueror. 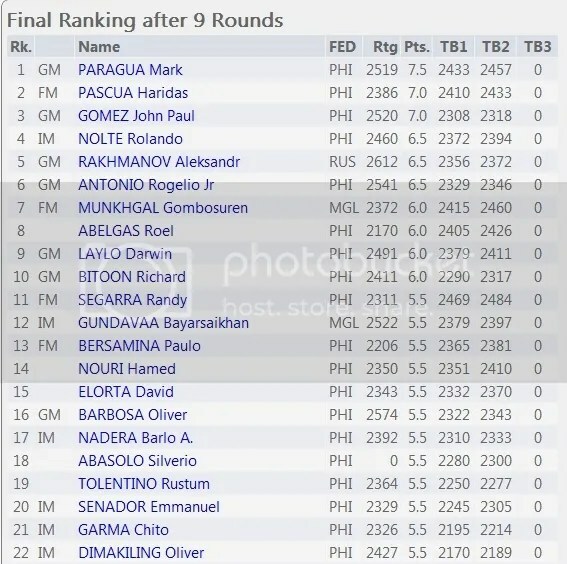 FM Pascua scored 7.0/9 (6Wins-2Draws-1Loss) that could have been enough for his 1st GM norm and his 3rd and final IM norm but according to him he missed both due to only one(1) opponent coming from other federation. He also had gained a +36.2 rating points that up his Live Rating to 2422.2. This is another milestone he achieved a 2400+ rating requirement for IM title. GM Gomez who had a late surge also scored 7.0/9 (7Wins-2Losses) to share second place.